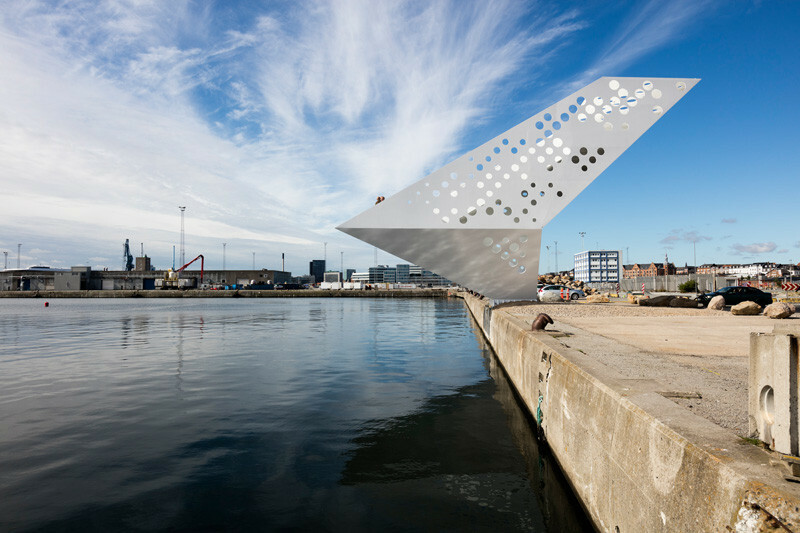 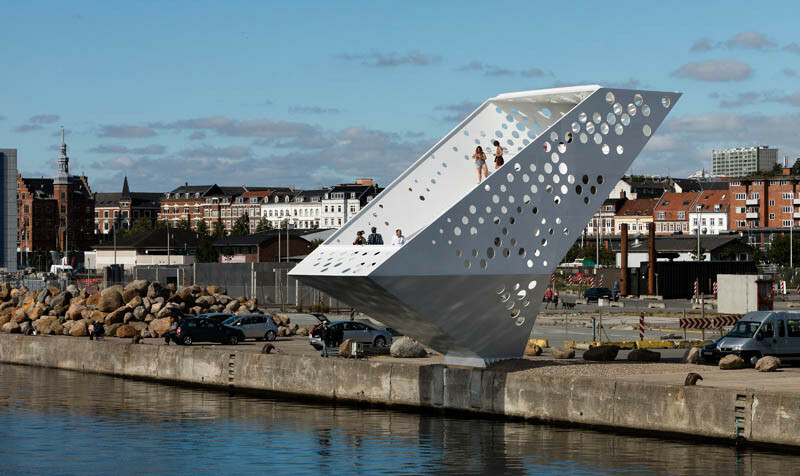 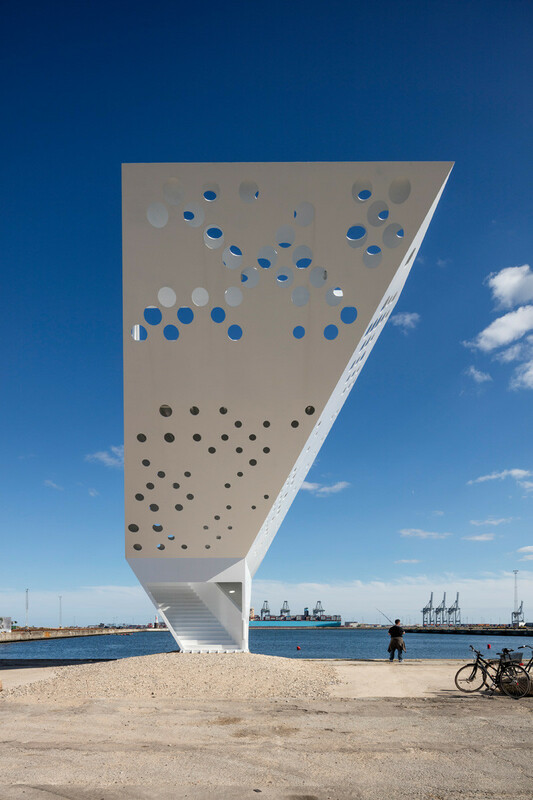 Dorte Mandrup Arkitekter were asked by the city of Aarhus, Denmark, to design a new viewing tower and landmark for the harbor. 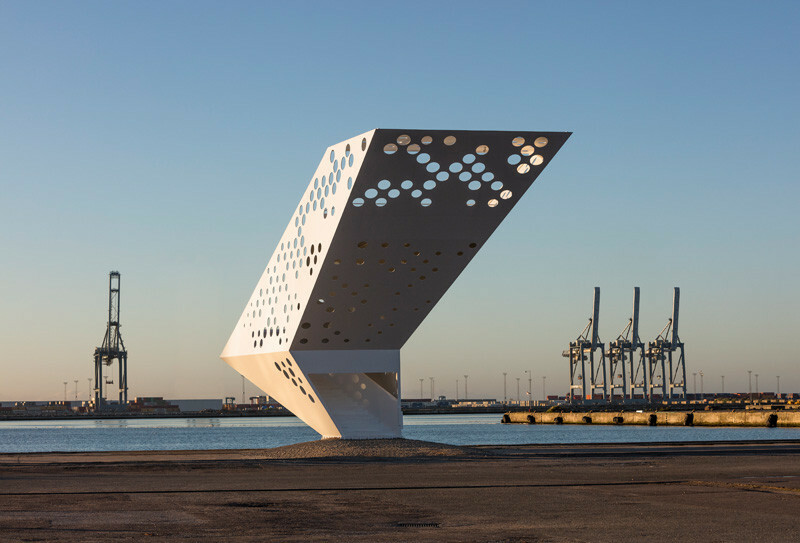 The new tower, a dramatic urban sculpture, is a distinctive focal point and meeting place for visitors to the harbor. 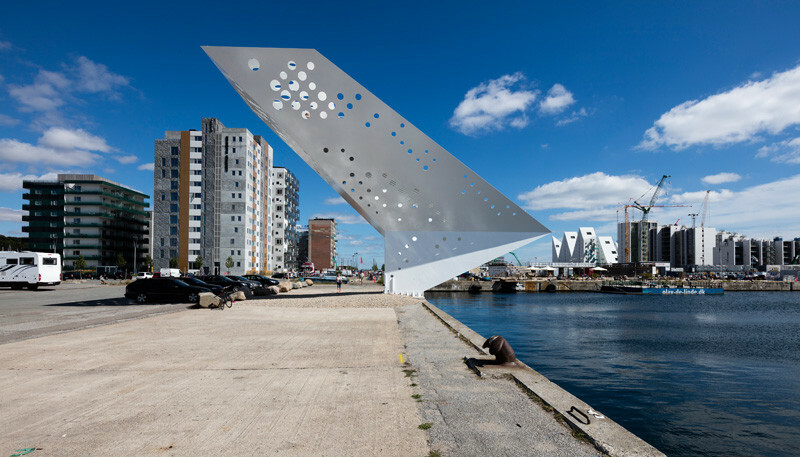 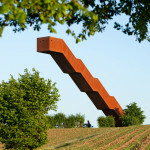 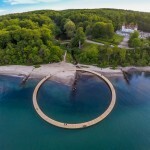 The sculpture is made from painted steel, and provides visitors with the opportunity to climb inside to the viewing platform, 7.5 meters (24 feet) above the water. 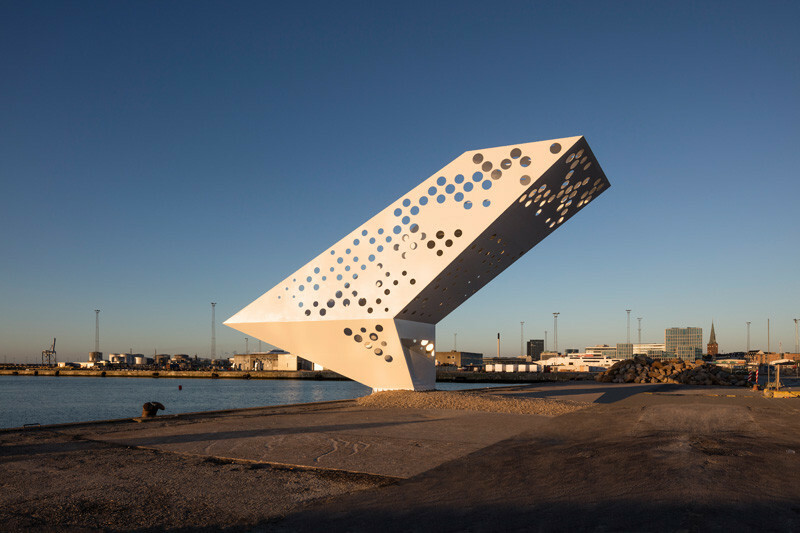 At night the sculpture is illuminated by LED lights. 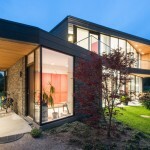 Part of the criteria for the design was to make sure it was accessible for everyone. 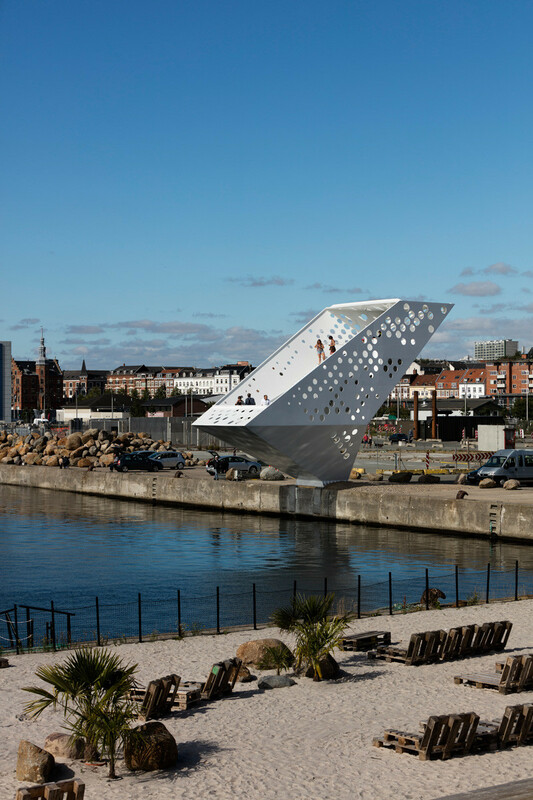 They achieved this by installing a lift for visitors with reduced mobility, that travels from the bottom of the staircase up to the top platform. 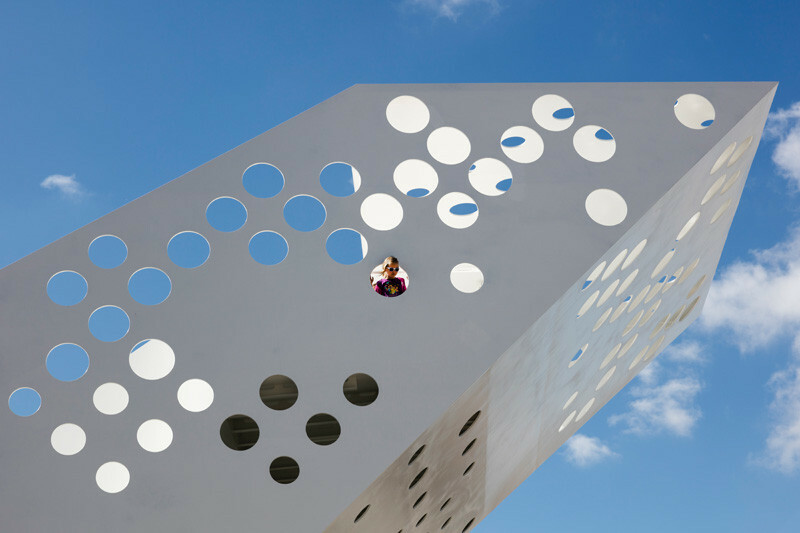 Here’s a close-up look at the viewing portholes.